Fat loss for men might be easier than you think, so long as you follow the basic underlying strategy. Fat burning and weight loss go hand in hand, but you can still burn fat in the absence of shedding pounds. Eating right, doing regular fat-burning workouts, and adopting other healthy lifestyle habits will get you shredded in no time. Fat burning involves more than just eating clean and working out regularly. Adopting additional healthy lifestyle habits is the key to fat-burning success. You may already know that water is the #1 drink when weight or fat loss is your goal. Your body is made of about 70% water, and increasing your water intake helps you feel full without extra calories. Water makes it easier for your body to burn fat as fuel, flush out toxins, and boost energy. If you think you might be hungry but aren’t sure, drink about 2 cups of water and reevaluate your body's hunger cues. Stress and the hustle and bustle of work, family, and your social life can make getting enough sleep nearly impossible at times. But when fat loss for men is your goal, sleeping enough is crucial. More than one-third of adults in the U.S aren’t sleeping enough regularly, reports the Centers for Disease Control and Prevention (CDC). Adopting these healthy sleep habits lets you get the high-quality sleep needed for effective fat burning. Better sleep gives you the energy needed to get through daily fat-burning workouts. The effects of avoiding alcohol for fat loss are two-fold. Drinking alcohol can increase your appetite, and studies show it reduces fat oxidation and is associated with higher body weights and body fat. Alcohol adds unnecessary empty calories to your meal plan and is associated with certain forms of cancer. While nixing alcohol entirely is usually best, drinking in moderation is a much better alternative than heavy drinking when fat loss for men is your goal. In addition to drinking water, add caffeinated black coffee or unsweetened tea to your daily routine to enhances fat loss. Studies show that increasing caffeine reduces body weight, body mass index (BMI), and fat mass. The reason for this might be two-fold. Caffeine gives you more energy, which makes it easier to stay active and have better fat-burning workouts. Studies show that caffeine increases energy expenditure, decreases food intake, and boosts metabolism and your body's ability to burn fat. How much coffee or tea is enough to reap fat loss benefits you might be wondering? If you don’t drink caffeine, adding 1-2 cups of coffee or tea daily can help. A 2017 review in BMJ says drinking 3-4 cups of coffee daily helps reduce all-cause death, heart disease, and cancer. Avoid unnecessary stressors in your life as much as possible – even if it means turning down a work promotion, finding a new job altogether, or saying no to extra-curricular activities. What Does a Fat-Loss Diet for Men Look Like? Following a fat-loss diet might be easier than you think, as you don’t have to count calories or measure food. Just make a few simple changes in your regular eating habits and watch excess fat melt off. If weight and fat loss is your goal, slightly lower your usual energy intake by about 500 calories daily to shed about 1 pound of fat per week. If you’re trying to burn fat while increasing muscle mass, simply change the composition of your current diet. Over time, cravings for sweets might disappear for you entirely! Because these foods are free from added sugar and fiber-rich, they fill you up for long time periods to enhance fat loss for men. Protein can increase your metabolism, boost satiety, and maintain lean muscle during weight loss. If you work out regularly, aim to consume about 0.75-1.0 gram of protein per pound of your ideal body weight, spaced evenly throughout the day. For example, you might eat 25-30 grams of protein at each meal, 5-6 times daily. Drinking whey protein shakes is an excellent fat-burning strategy for men. Studies show that consuming a whey protein shake twice daily and reducing total daily calories by 500 enhances fat loss and helps maintain lean mass. Cook meals in olive oil, add nut butter to protein shakes, snack on nuts and seeds, eat fatty fish, take omega-3 fish oil or algal oil supplements, and top salads with nuts, seeds, or avocado slices. Examples of non-starchy vegetables, which should make up about half of each plate, include leafy greens, tomatoes, cucumbers, celery, asparagus, broccoli, cauliflower, zucchini, carrots, mushrooms, bell peppers, and green beans. Keep portions small and don't overdo it. 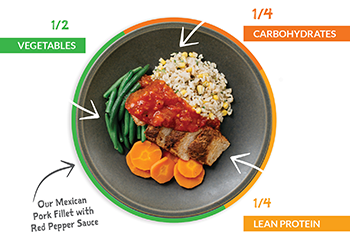 There’s no one-size-fits-all strategy when it comes to meal timing for fat loss, so design menus based on your schedule and preferences. By the end of February, most people will have completely forgotten about their New Year’s resolutions. We get it. Creating goals is much easier than sticking to them. With that said, there are a few things you can do to make it easier to stick to your resolutions. The first thing you have to do is adjust your mindset to be more positive towards your resolutions. You created them for a reason, so don’t just forget about them altogether. Here at the Fit Father Project, we’re all about improving health. We view fitness as one of the most important facets of a person’s life. While there are many components to the modern life, being fit serves to improve your overall capabilities. A positive mindset sits at the top of the fitness pyramid. Having a good outlook will help you in any situation. However, breaking goals can be detrimental to your mindset. Sticking to your goals will build confidence and help you create a more positive mindset, which in turn, helps you to create and stick to more goals in the future. Creating realistic goals is one of the best ways to improve your chances of completing them. Many large corporations and businesses have adopted something called SMART goals, which stands for Specific, Measureable, Attainable, Relevant and Time-bound. Sometimes it’s helpful to state the obvious, even if you consider the idea as cliche. There is no denying that SMART goals help. If you created several New Year’s resolutions, but are failing to stick to them, there’s a good chance they weren't realistic in the first place. It might be helpful to re-do your resolutions altogether. Write them down again, but this time match each resolution to a goal. Make sure they’re specific, measurable, attainable, relevant, and time-bound. Trim everything down to a sustainable level. For example, if one of your resolutions was to eat healthier, make it more specific. Write down the foods you would like to cut from your diet and the foods you would like to replace them with. It’s ok to drop the New Year’s resolutions that are unrealistic and focus on the most important ones. Rewarding yourself is another great way to ensure you are successful. Think of some things you would like to purchase or a few activities you would like to do. If you stick to your New Year’s resolutions, reward yourself with something nice. Fishing is one of my favorite activities. So much so that it can in the way of my goals. I have to force myself to limit the amount of time I spend fishing. Because I spend so much money on traveling and purchasing equipment, I decided to link fishing to my savings account. This means I only go fishing during the weeks I’m able to save money. No matter what your goals are, you can link them to something you enjoy. Did you lose 10 lbs this month? Reward yourself with that new gadget you've been eying. Just like goals, you improve your chances if you write down the incentives that accompany them. There’s even science that backs up the claim that incentives improve the chances of accomplishing goals. One study followed 120 students with three different groups. A third of the students were paid just to allow the researchers to track their gym attendance. Another third received the same amount of money to go to the gym at least once in the next month. The final third was paid the same amount to go to the gym at least eight times. Even though the final group was paid the same amount to do more work, they were nine times more likely to attend the gym after the experiment was finished. Social pressure can force us to do all sorts of things we don’t want to do. Tell your friends and family about your New Year’s resolutions. Make a pact with them and commit to helping one another accomplish your goals. Simply being asked about your level of success can help with making sure you keep your commitments. The more people you have asking for an update, the better your chances of succeeding. Don’t be afraid to start today, as in right now. If you wait till tomorrow to make a change, there’s a good possibility that you’ll forget about it. If you’re able to take steps today, do it. This is a great opportunity to tell you about our most successful program, FF30X. Thousands of men have benefited from joining the program. By committing to a standardized program, you’re much more likely to adopt a better diet and exercise more. One of the things that makes FF30X so great is that it’s broken down into different phases. We have found that men who start and finish the first phase are much likely to make it through all three phases. *Please know that weight loss results & health changes/improvements vary from individual to individual; you may not achieve similar results. Always consult with your doctor before making health decisions. This is not medical advice – simply very well-researched info on keeping your New Year's resolutions. You’ve probably heard time and time again to “avoid processed foods,” but may not be entirely sure what that all entails. Knowing about food manufacturing processes and how to avoid processed foods helps you improve health parameters, reduce disease risks, and look and feel your best! What Exactly are Processed Foods? Processed foods are raw, whole foods that have been altered in some way during manufacturing. Processing foods might be as simple as washing and cutting the foods – or adding extra ingredients, fillers, preservatives, sugar, or fat to enhance flavor, texture, color, or shelf life. Essential nutrients, such as vitamins, minerals, probiotics, omega-3s, and fiber, may be lost or added during processing. Not all processed foods are bad for you. But generally speaking, whole (unprocessed or minimally processed) foods are the most nutritious. Are There Benefits of Processed Foods? Milk is often fortified with extra vitamins and minerals – and pasteurized to eliminate the risk of foodborne illness. Plant milks and juices might be fortified with essential vitamins, minerals, fiber, or omega-3 fatty acids. Fruit packed in its own juice has a longer shelf-life than fresh fruits. Canned meats, such as tuna, have a longer shelf life than fresh meats. Pre-washed, pre-cut fresh veggies and fruits add convenience for busy families. Frozen fruits and vegetables keep longer than fresh produce. Hard-boiled, peeled eggs add convenience to busy lifestyles. Extra virgin cooking oils are minimally processed and healthy for your heart. Keep in mind when looking for minimally processed fruits and veggies, opt for those that are raw with the peel still intact to minimize nutrients lost during processing. Examples of processed meats include ham, sausage, bacon, pepperoni, cold cut meats, and hot dogs. These meats are often blended with other animal parts and contain added sodium, preservatives, or fillers. They may have been smoked, fermented, or cured during processing. The American Cancer Society reports that eating 50 grams of processed meats daily, which equates to just one hot dog or four strips of bacon, increases your risk of colorectal cancer by almost 20%! Using whole, organic foods during food prep at home reduces the chance of ingesting hidden additives or chemicals that can leach into foods from their packaging. Choosing minimally processed foods involves making simple food swaps for foods you normally might eat. Food labels can be misleading, as products claiming to be “natural” may contain hidden ingredients or be exposed to antibiotics, growth hormones, or pesticides during processing. You won’t always know how foods are processed during manufacturing, but check ingredient lists on food labels to reduce or eliminate highly processed foods from your diet. Not all foods provide nutrition labels, but many that don't are whole foods (such as fresh produce). For foods you eat that come with nutrition facts labels, look at the ingredients list. The first ingredient listed is present in the largest amount. The Food and Drug Administration (FDA) provides a more extensive food additive list. These and other ingredients are added to foods during processing to enhance flavor, emulsify mixtures, change texture, add color, sweeten, increase saltiness, extend shelf life, reduce bacterial growth, or keep foods moist and tender. Just because a food is organic doesn't mean it’s healthy or a whole food. Essential nutrients can get lost during organic food processing, and these foods may contain sodium or added sugar, so always check the ingredient label to be sure. Nearly all processed foods contain added sodium to enhance flavor or increase shelf life. Sodium is an essential nutrient your body requires daily to function properly. However, ingesting too much sodium can lead to high blood pressure and a higher risk of heart disease. Working out regularly (especially if you sweat a lot during workouts) helps your body excrete excess sodium. How Much Added Sugar Can I Have? The USDA Dietary Guidelines for Americans 2020 allow some leeway for added sugar but encourages you to limit it as much as possible (less than 10% of your total calorie intake, or less than 50 grams daily when eating 2,000 calories). When following a 2,000-calorie meal plan, the USDA allows for 260 calories from food sources of your choice. PCBs (polychlorinated biphenyls) and mercury are present in fish and seafood living in polluted waters. Bisphenol A (BPA) and phthalates can leach into foods from plastic packaging and some food cans. Lead may be present in tap water or foods prepared with tap water. Other chemicals can leach into foods grown in polluted soils. Choose low-mercury fish and seafood– such as salmon, canned light tuna, cod, and shrimp. Pick fresh produce vs. canned foods or foods packaged in plastic. Drink filtered tap water, and have your tap water tested. Avoid leaving bottled water in the sun or heat. Don't prepare food with unfiltered tap water. Air pop your popcorn rather than using microwavable popcorn bags. Following these simple tips can reduce the harmful substances you and your family ingest, and maximize your health. Do Additives and Chemicals Cause Health Problems? Food additives and chemicals that leach into foods from environmental pollution, food cans containing BPA, and plastic packaging could indeed increase your risk of cancer and other health problems when consumed in large amounts. In fact, some additives approved for use in the United States have been shown to cause cancer in animal studies. Increasing your consumption of highly processed foods by 10% is associated with a greater than 10% risk of overall cancer, say researchers who conducted a study published in 2018 in BMJ. The American Cancer Society says the link between processed meats and cancer may be due to sodium nitrite used as a preservative in these meats, and BPA in plastic packaging appears to increase cancer risks. BPA may negatively affect the development and behavior of infants and young children exposed to it during pregnancy and early childhood, according to Stanford Children’s Health. Mercury is a neurotoxin. Fetuses (during pregnancy) and young children exposed to too much mercury might experience neurological and cognitive delays during development. Ingesting too much lead can lead to cognitive, behavioral, and other developmental delays in children. Certain substances (such as saccharin) are approved for use in the U.S. despite the fact they are linked with cancer in lab rats. The bottom line is research is ongoing to determine which health problems food additives and chemicals cause, and to what extent. The FDA usually bans substances if they caused cancer or other serious health problems in animal studies. Food additives and chemicals aren’t usually harmful in small amounts. However, it’s difficult to determine which amount of these substances, if any, really is safe. After signing up for FF30X, you’ll receive 24/7 access to Q&A support from medical and nutrition experts. When you’re ready to join a healthy community and be surrounded by social support, sign up for FF30X or try a free 1-day meal plan or free muscle-building workout today! *Please know that weight loss results & health changes/improvements vary from individual to individual; you may not achieve similar results. Always consult with your doctor before making health decisions. This is not medical advice – simply very well-researched info on how to avoid processed foods. Is There a Specific Weight Loss Program That’s Best for Men Over 40? You can drop those pounds even after you are 40! There is no upper age limit to losing weight and getting back into shape. Using a Weight Loss Program for men over 40 will help to keep you motivated and get the results you're looking for. 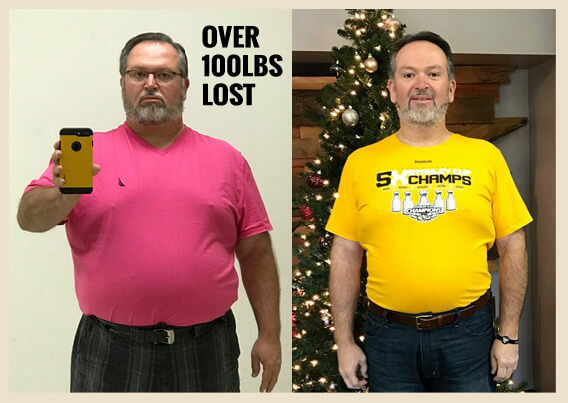 The great news is that you can join the FF30X program today and gain access to a Weight Loss Program for men over 40 that is specifically designed with you in mind. Studies show that it is harder to lose weight once you are over 40, but that doesn't mean it’s impossible. You simply need to find a weight loss program for men over 40 that actually works. The sheer number of programs available on the market can make this seem daunting, but the FF30X program really works, as proven by thousands of other men who have lost weight with this program. The Fit Father Project is specifically designed for men in their 40's, 50’s, and older. This program will help you lose fat, but perhaps more importantly, build muscle in the process. The reason it is so successful is not just because it is designed with older men in mind, but it's also a great way to maintain your motivation for the long term. This is what will help to ensure you successfully reach your weight loss goals with the Fit Father weight loss program for men over 40. The FF30X program includes all the key elements below, which is what makes it one of the best ways to lose weight over 40. If you want to create your own program or use pieces from a variety of programs you still need to include the key elements of the FF30X. You may be surprised to learn that changing your diet and exercises is not the best place to start a weight loss program for men over 40. These are important elements, but the first step must be to look at why you want to lose weight. You need to ask yourself why you want to lose weight and write down the various reasons. Wanting to lose weight is a great start, but if you think about it further, you’ll realize that losing weight will boost your confidence and help you to stay healthy as you age. There are tons of reasons to get fit. If you’re like me, as you start to age you’ll realize just how important your health is. Maintaining your health will help to ensure you are still there for your children and your grandchildren. Once you realize the real reason you want and need to lose weight, you’re ready to start the weight loss program for men over 40. The simple fact is you’ll now have the motivation to commit and maintain the changes to your diet and lifestyle. Step 2 – Get Some Sleep! The next step is to look at your sleep schedule. The average man needs to have between 6 and 8 hours sleep every night. Sleeping gives your body time to manage hormone levels, helping muscles recover and your body to work effectively. Leptin – This is the appetite suppressing hormone that increases when you sleep helping you to feel fuller during the day. Ghrelin – A reduction in this hormone when you sleep will reduce your hungry during the day; again helping you to eat less. Cortisol – When you’re stressed your body produces cortisol which can prevent other hormones from being produced. Cortisol levels lower as you sleep. If you don’t get enough sleep your hormone levels won’t reset making it much harder to lose weight. There are plenty of people who will tell you to eat less or perhaps eat out less. However, the real secret to weight loss is in understanding what you eat. A balanced diet includes protein, carbohydrates, vegetables, and a little healthy fat. Understanding the food you eat will allow you to practice food prepping in advance, eat out more or simply make the healthy choice every time. The good news is that food can still be enjoyable and there is very little that you shouldn’t be eating! The Perfect plate is a really simply way to start eating healthier. In effect every plate of food you eat should be ½ vegetables, ¼ protein and ¼ carbohydrates. If you adopt this approach, you will get all the nutrients your body needs without overindulging and while still enjoying your food. Excellent sources of protein include chicken, eggs, lean beef, tuna or even turkey. For good carbs use brown rice, sweet potato or some quinoa, vegetables are self-explanatory. Don’t forget that staying hydrated is as important as consuming the right nutrients. Your body is approximately 70% water; it is essential to every cell. Ideally, you should aim to consume between 2 and 2.5 liters of water every day. The second factor in changing your diet is to know the calories you need to consume. The average man needs 2,500 calories a day. You should check out the number you really need with this maintenance calculator. If you’re hoping to lose weight fast, then you need to aim to eat approximately 500 calories less than your maintenance amount every day. Of course, a more sustainable approach is to lower your calories count by 200 – 300. The weight loss will be slower, but the process will be easier! The right mindset and diet are essential to your success when joining a weight loss program for men over 40. However, exercise will always play a part. In simple terms exercise helps you to burn more calories, increasing your fat burning capabilities, and helping you lose weight. But the right exercises will also help you to build muscle; this will help you to burn more calories. Muscle weighs the same as fat but burns 5 times as many calories! Many people assume resistance training is something that bodybuilders do. However, this is essential to build lean muscle which will help you to retain your strength as you age and burn off excess fat. Join the FF30X today and you will get a huge amount of support as well as access to an array of exercises and recipe suggestions. There may be other programs available but the FF30X is the weight loss program for men over 40 that really works. I know I’m one of the thousands of men who have successfully used it. Join Us Today And Start Tracking Your Success! Motivate yourself properly. Ask yourself Why several times. Get the sleep you need. Between 6 and 8 hours every night. Look at your diet and change it to achieve real results. Use the Perfect Plate. Start exercising and building a habit that will last a lifetime. Aim for 30 minutes per day. That’s the real secret. All the above steps are easy to adopt and can be sustained for the rest of your life. This is why the FF30X is the weight loss program for men over 40 that you need to start today. *Please know that weight loss results & health changes/improvements vary from individual to individual; you may not achieve similar results. Always consult with your doctor before making health decisions. This is not medical advice – simply very well-researched info the key elements of an effective weight loss program for men over 40. Working out day after day takes dedication, hard work and most importantly, variety. The simple truth is that if you do the same routine everyday your workout will boring, frustrating, and ineffective. Fortunately, the best at home workouts include a handful of basics exercises. These simple to do tasks are enough to provide your body with the required resistance for building leaning muscle and burning fat. The best at home workouts use your bodyweight, or could also include a kettlebell, set of dumbbells, or other weight/form of resistance. You don’t need any other equipment to successfully lose fat and build lean muscle. To keep it interesting try completing the following exercises every other day. On your ‘off’ days have a go at this free 24-minute workout for an added bonus. You don’t need to spend a fortune buying weights or other equipment. You can use your own body weight to work your muscles and burn some fat. Your hands need to be shoulder width apart with your feet together and your body straight. Go from arms straight to arms bent; with your chest almost touching the floor and then back up. To build muscle you’ll be looking at 3 sets with 8 reps each. The classic push up uses all the muscles in your shoulders. This starts in virtually the same position as the press up, with the exception that your elbows are beneath your shoulders and your forearms are on the ground. You don’t need to go up and down; just hold the position for 1 minute, rest for 20 seconds and then repeat twice more. The basic plank will strengthen your core and help you to get that 6 pack! This is one of many variations of the basic plank. Simply keep your body straight while resting on your left elbow and forearm. Your left foot should be on the floor with the right foot on top of it. You’ll be sideways to the ground. Again you’ll want to hold this for 60 seconds, rest for 20, and then repeat two or three times. This version of the plank will help to improve the health of your spine by strengthen the quadrates lumborum. All you need to do is lie on your back with your hands and legs pointing at the sky. Then bend your knees at a 90° angle. Straighten one leg until it is just above the floor and hold for a count of 3. Then return it to the starting position and do the other leg. You’ll want to do 8 with each leg and 3 complete sets. This works your core stabilizers as well as your abs; a very practical and useful excercise. A weight bench is great for doing bench dips, but so is a coffee table or a chair. Start by standing straight, facing away from the bench. Put your hands behind your back and grab the bench, with our hands at shoulder width apart, move your legs 2 – 3 feet in front of the bench so that your knees are bent but not as far as 90°. Slowly lower your body down until your arm forms a 90° angle. Then push yourself back up with your arms. This will work your triceps as well as your chest, shoulders and of course the rest of your arms. Jumping rope is a great cardio exercise which works practically all the muscles in your body. A great way to start doing this is simply to jump the rope as many times as you can in 20 seconds. Pause for 10 seconds and then repeat; you should be doing 4 reps.
It’s easy to get better as you simply have to beat your own score. You don’t need to spend much to get a set of dumbbells and start adding these exercises to your routine. These are a great way of pushing your body a little harder; either to burn more fat or prepare yourself for the machines in the gym. That’s one advantage of the best at home workouts; you’ll be better prepared for the machines in the gym! Start with your feet shoulder width apart and a dumbbell in each of your hands. Your back should stay straight and your head up as you lower yourself down. Your thighs will become parallel to the floor as the dumbbells pause approximately an inch from the ground. Push with your legs to return to the starting position and then repeat. You’re aiming for 3 sets of 8 reps.
Squats build strength throughout your entire body. They're one of the best lifts in existence. You'll want to keep your back straight and your head up as you pick up two dumbbells. 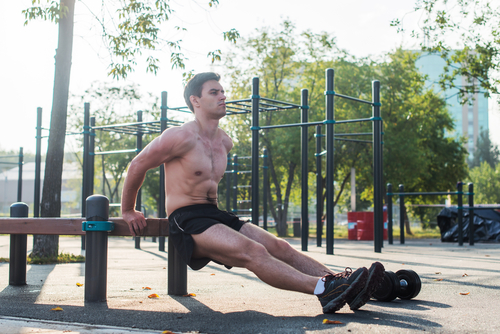 You should be aiming to pick up half your bodyweight. Then walk forward as fast as you can either to a designated line (50 meters is good) or see if you can keep walking for 2 -3 minutes. If you don't have dumbbells that are heavy enough then try using two water barrels filled with water, just make sure they have handles. The farmer's walk will strengthen your shoulders, upper traps and even your deltoids. You may also notice an improvement in your grip strength for other workouts. All you need to do is stand with your feet at shoulder width and a dumbbell in each hand. Lift the dumbbells to shoulder height with your palm facing outwards. Keep your elbows in front of your bars as you push the weights upwards until your arms are straight. Slowly return them to the starting position and repeat. Gain you want to be doing 3 sets of 8 reps. This exercise will sculpt your shoulders; exercising the top part of your body perfectly. This is another great exercise for your shoulders. Stand straight with your feet at shoulder width apart. Hold a dumbbell in each hand and then slowly move them out to the sides. Ideally they should reach shoulder height. You need to pause for 2 seconds before lowering them back down and repeating another 7 times. You’ll probably need to work up to doing 3 sets of these! This is a really easy exercise to do that is great for building your calves. Stand with your feet shoulder width apart and a dumbbell in each hand. Now place the balls of both your feet onto a step and keep your heels on the floor. Slowly raise your heels off the ground, shifting your weight to the balls of your feet. Hold this for 3 – 5 seconds before lowering down and doing again. The aim is to do 3 sets of 8 reps.
You probably already know this one and it is worth doing although it only targets one muscle; the bicep. It will help you to get the biceps you crave. Again stand with your feet shoulder width apart and hold a dumbbell in each hand with the palm facing outwards. Bring your arms up bending the elbow until the dumbbells reach your shoulder; hold for several seconds before lowering them back to the starting position. The key to getting the most out of this exercise is to only move your lower arm. This is another great one for your legs, particularly the glutes, quads and hamstrings. It is also a low impact exercise which reduces the risk of knee injuries. Start with a block or bench approximately 6 inches off the floor; you can increase the height of this as you get better at the exercise. Then, stand in front of the bench with a dumbbell in each hand. You’ll need to put your right foot onto the bench and then bring your left up by pushing through the heel of your right foot. Return both feet to the ground and repeat starting with your left foot. You won’t be surprised to learn that you’re trying to do 3 sets of 8 reps with each foot. There are 13 exercises above. You should be able to complete 3 sets of each one in a maximum of 45 minutes. This is probably less time than it will take you to get to the gym and back; which is why you need the best at home workouts. But, an even better consideration of the best at home workouts is that you can split the exercises and just do a few at different times of the day. Check out our Youtube channel for more great ideas. Just don’t forget to add in the free 24-minute workout to your routine. The variety and challenge will help to keep it interesting and for you to reach your goals. *Please know that weight loss results & health changes/improvements vary from individual to individual; you may not achieve similar results. Always consult with your doctor before making health decisions. This is not medical advice – simply very well-researched info on weight loss protein powders. The phrase “You are what you eat” is not an original. The first variant of it is known to have been used by Anthelme Brillat-Savarin in 1826. But, it does still hold true today, and it’s the reason why you need a healthy diet is so important. We thought it would be a good idea to offer up some meal prep ideas for weight loss to help you stick to your diet. The simple fact is that a balanced diet is essential for you to lose weight and stay healthy. Try this free 1-day meal plan to give you some fresh food inspiration. Adopting the perfect plate method and preparing your meals in advance is one of the best ways to lose weight. This isn't just a fad. There is plenty of research that confirms what you eat is key to losing weight and staying healthy. You can’t select the best healthy meal prep ideas for weight loss unless you understand what meal prepping is. In short it is the recognition that time is precious and you live a hectic lifestyle. The pressure of work and raising a family can make it difficult to choose the healthy option when it comes to eating. Let’s face it, who hasn't sunk into their armchair while ordering a pizza at the end of a long day? But that’s the issue; convenience food is not going to help you with your weight loss goals. Meal prepping involves getting your food ready at the start of the week. Some people choose to prep twice a week. With meals ready to be used its just as easy to create a healthy meal as it is to order that pizza. The drill is simple. Pick a day, such as Sunday. Spend 2 – 3 hours prepping your food for the week and store them away. When you want a meal, simply choose from your prepared options and enjoy. The following recipes are just to give you a taste of what is possible. You can create your own or join the FF30X and take a look at a host of other recipes and healthy eating ideas. All you need to do is plan your meals and even snacks for the coming week. You can get inspiration from this article, the free 1-day meal plan and even by joining the Fit Father 4 Life. Once you’ve planned your meals, you can list all the ingredients you’ll need and make sure you have them all available. This may involve a trip to the store. You should be able to prep the meals for the next 3 or 4 days in less than 2 hours. Don’t try to do more than this or you’ll dread the meal prep time and give up on this great way to eat healthily. In the allotted time cook the recipes and store the dishes; ready to be consumed when you need them. Storing them properly is important to ensure they stay fresh. The majority of the food you prep will be going into your refrigerator. You won’t want the different tastes and smells to mix; this can ruin the flavor of any meal. You also need to consider how convenient the container is to take with you; your meal prep does include having food for your working day! Jars are great for soup, but they also work effectively for any salad. Zipper Bags are excellent at keeping meat fresh. Glass storage containers are brilliant for keeping different foods separate; such as vegetables. These can even be used to contain a whole meal. Plastic Freezer Bags are fantastic for storing a meal. All you need to do is defrost, reheat and enjoy. It is essential to let all food cool properly before you put it into an airtight storage container and then into your refrigerator. Most foods will store in the refrigerator in this way for 7 days without spoiling, but you should consider how long it will keep when prepping. This is another reason why prepping twice a week is a good idea. You can also freeze food then reheat it from frozen in under 5 minutes. Prepping meals in advance is great because it’s so convenient. But you may not fancy the tuna fish salad you assigned for a specific evening. A great way to avoid this scenario is to cook several pieces of chicken, some fish, eggs, legumes, potatoes, and even some lentils or similar. Basically you want vegetables, fruits, whole grains, lean meat, nuts, beans and other healthy food choices. Place all of the cooked foods into separate glass containers. When you want to eat you simply select a little from each of the glass containers depending on what you fancy. Providing you stick to the perfect plate principle you’ll still be eating healthily but can avoid the rigidity of knowing exactly what meal you’re eating. This is a great way of mixing it up and keeping you interested in the food and healthy meal prep ideas for weight loss. As most glass containers are microwave safe, you can simply throw it in the microwave to heat up at your meal time. 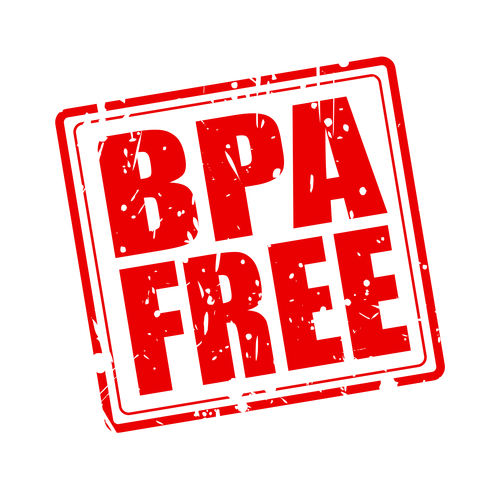 Glass containers also do not contain BPA's, which can cause issues with lower testosterone levels in men. Meal prep recipes are on the next page. Aging is an inevitable force, but that doesn't mean your health and fitness need to get worse as you age. These workout plans for men over 40 will make you feel young again! The good news is that 40, 50, or even 60 years old is a great age to start working out. It doesn't matter how old you are these workout plans for men over 40 will bring you tons of health benefits. In fact, regular exercise will help you to age more slowly. What better motivation can you have? Exercising can help you to lose weight, build muscle and look better. But research also shows it is a great way to prevent osteoporosis and other age-related diseases. Developing the right workout is easy. Sticking to it is the hard part. You’ll need to build a habit in order to maintain your new fitness schedule and achieve your desired results. Check out the free 24-minute workout and join the FF30X program today to access hundreds of other exercises. You’ll also get to speak to other men who are taking the same journey as you. The stories from these men will motivate and inspire you! Try doing the following exercises for 25 reps each. However, if you can’t do this then just to exhaustion is good enough! Dumbbells encourage your stabilizer muscles and place less strain on your shoulders than the traditional barbell. You can easily vary this exercise to work different areas of your chest by adjusting the incline of your workout bench. Check out this video to make sure you get your form right. Give your shoulders and back a workout with this exercise. In fact, if you get the form right, this will work all the muscles in your body. The critical thing with this exercise is to get the weight right; you want to be struggling to do 25 reps but the weight needs to be light enough that you can keep the movement slow and controlled. Check out this video for the right form. Again this exercise is designed with dumbbells instead of barbells as this will help to ensure your stabilizers are being used; improving your core as well as strengthening your core and upper body. If you've got the weight right you may need to drive up with your knees for the last couple of reps. If you need to do it for more than the last couple of reps you’re going to have to drop the weight slightly. Here’s another video to check out! It’s easy to forget your legs and glutes when using weights but you need to keep your body balanced. Dumbbell squats are the perfect exercise for this. Check out this video for perfect form. This is often called the ultimate exercise for men over 40 and for good reason. It will work your neck, shoulder muscles, core, glutes, and your legs. It really is an all over workout in one exercise. Here’s the video for perfect form. If you don’t have dumbbells or other weights, then you can always use your own bodyweight to fit a workout in anywhere. Aim for 25 sets of each or until you can’t do the exercise properly anymore. These work your chest muscles, shoulders and all the muscles in the top of your arms; including your triceps. This is the same squats as described above just without the dumbbells. This is a great way to get started, and you can vary the exercise by trying jump squats or even single legged squats. You don’t need a dedicated bar to do this, anything solid that is above head height will do; even a tree. When you grip the bar your palms should be facing towards you. This will effectively work your back, shoulders, and biceps. Lunges are one of the toughest exercises you can do but they are also incredibly effective. They will work nearly all the muscles in the lower half of your body. This is a great exercise for working your triceps; one muscle that is often overlooked. You can do these exercises on a coffee table, bench or even the back of a couch. You can also adjust the intensity of the exercise by moving your feet further away from the bench before lowering your body up and down. This actually used to be one of Arnold Schwarzenegger’s favorite exercises for arm development. Using weights is a good way to get your heart pumping, build muscle and burn fat. But workout plans for men over 40 should include some cardio exercises. The following ones will get your heart pumping and use a variety of muscles across your body; this is not the same as a 30 minute run! Try doing the following 5 exercises for 30 seconds, break for 30 seconds and then repeat. Once you've completed all five, pause for another minute before doing them all again. You should be aiming to do the whole lot 5 times. 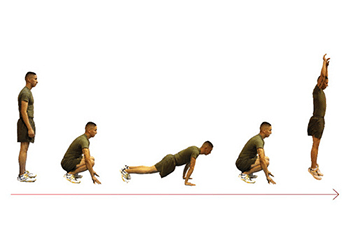 This is one of the toughest exercises which are why the military use it all the time. It will work your chest, shoulders, lower back, quads, hamstrings, hips and even your triceps! This is the one where you adopt a press-up position and then bounce your legs back and forth; almost like running on the spot. It’s not easy, but you will feel the benefit in your chest, shoulders, triceps and your core. The squat thrust is really good for your upper body as well as your cardio system. You’ll work your hip flexors, calves, and lower abs. At the same time, you’ll see your strength increase in your shoulders, chest, and arms. If you’re hoping to improve your stamina then steps up is the right exercise for you. You can even add weights to this later to boost its effectiveness. You’ll feel the burn in your quads, hamstrings, and calves. This is the bleep test that you probably remember from school. All you have to do is run from one point to another as fast as you can and back. Start Your Workout Plans For Men Over 40 Today! You can pick any of the plans above and get started. The secret is to do each exercise until you can’t do any more. This will boost your health, fitness, help you burn fat and gain lean muscle. But, to make sure you stick to your workout plans for men over 40 you need to keep it as varied as possible. Add in the free 24-minute workout to help keep your motivation high while you build your habit. You should also join the FF30X project. This will give you access to plenty more workout plans for men over 40 and the advice and support you’ll need to achieve your goals. *Please know that weight loss results & health changes/improvements vary from individual to individual; you may not achieve similar results. Always consult with your doctor before making health decisions. This is not medical advice – simply very well-researched info on workout plans for men over 40.